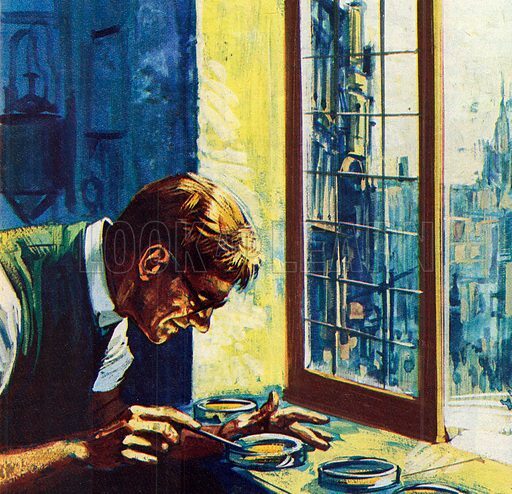 In 1928 a Scottish doctor named Alexander Fleming was growing bacteria for investigation in little glass dishes in a room in his hospital by Paddington railway station in London. Microscopic mould spores drifted in through the window and settled in one of the dishes while the lid was off it for examination. Round where the mould grew in the dish, the bacteria appeared to be killed off. The dishes in which bacteria were cultured often became spoiled or contaminated, and would then be thrown away as useless. But in this case Fleming, in a historic moment of curiosity and fortune, decided to cultivate the mould and investigate it. He found it was producing a substance which attacked bacteria. The substance he named penicillin (after the scientific name of the mould). Thus was discovered one of the most powerful drugs that man has ever found. But it was another 13 years before penicillin was produced in a way which could be used to cure disease. Back in the 1920s, there were two ways of treating infections. One was by vaccination: this assists the body’s natural defence against bacteria to fight off an infection. This method is known as immunisation, and though of great value for certain diseases, its effectiveness is limited. This edited article about Ancient Rome originally appeared in Look and Learn issue number 417 published on 10 January 1970. Ancient Rome grew powerful and wealthy because her great men and soldiers put their country first and were prepared to make many sacrifices. It was a hard life, and when power and wealth were won, it was as if Rome breathed a sigh of relief and began to enjoy herself. Many of Imperial Rome’s troubles stemmed from the fact that rich and important families got the taste for life at its most comfortable and well-fed. In fact, what went on at some banquets has brought the whole Roman way of life into disrepute. Not all Romans were greedy, but if you happened to dine with one who was, he did not do things by half. What is more, it was the Emperors who led the field in the provision of grotesque feasts. 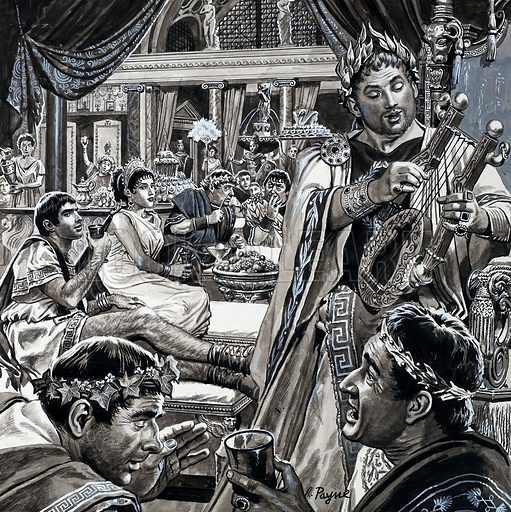 The Emperor Nero is well known for his many vices, and gluttony was one of them. Suetonius, the Roman biographer, tells us that “his feasts now lasted from noon till midnight, with an occasional break for diving into a warm bath or, if it were summer, into snow-cooled water.” And the Emperor Caligula had a talent for inventing the most peculiar delicacies, his best-known being a draught of priceless pearls dissolved in vinegar. Whether the feast was to be a simple or a gargantuan affair, the first essential was that the guests should be able to recline in comfort: to have sat down as we do would have been to class oneself with the slaves. Normally, two or three people shared a couch which was arranged with others around a table, but there were some extravagantly luxurious couches, which could accommodate up to eight people. Guests, wearing loose gowns, were announced by an usher and shown to their couches. Then slaves brought perfumed water to bathe their hands and feet. The most handsome and skilful slaves, with their long curling hair falling about their shoulders, served the wine and cut up the food and served it. The guests, lying across their couches, held plates in their left hands, and ate with their fingers. Other uglier slaves, whose heads were shaved, collected the empty dishes and cleared away the unwanted food which guests had thrown under the table. This edited article about English literature originally appeared in Look and Learn issue number 410 published on 22 November 1969. As a schoolboy growing up in 19th century Edinburgh, Robert Louis Stevenson was fascinated by a bookcase and a chest of drawers which were in his bedroom. 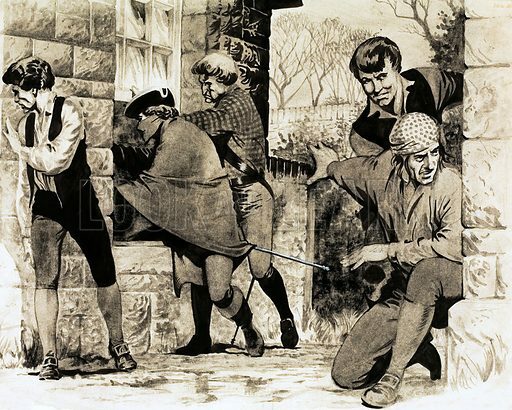 They had been made some ninety years earlier by the infamous Deacon Brodie – the master carpenter who was a respectable citizen by day, and the leader of a gang of burglars by night. In his walks through the old quarter of Edinburgh, Stevenson begged his parents to show him Deacon Brodie’s house, and the inns and courtyards where the criminal met with his desperate accomplices. Brodie’s daring double life made a deep impression on the young Stevenson. And years later, when his Treasure Island had made him one of the world’s most beloved authors, he found his thoughts turning again and again to the man who wore a suit of white by daylight, and black clothes after dark. This split in Brodie’s character epitomised to Stevenson the good and the bad side of man. He felt compelled to write a novel on the subject, and for some time he wrestled with his “Brownies,” as he called the ideas which came to him in his sleep. The next morning Stevenson worked feverishly on the new book, which was inspired, of course, by the career of Deacon Brodie. He completed the first draft of 30,000 words in three days. But when Fanny read the manuscript, she told him he had not done the story justice. The novelist then destroyed the draft, and rewrote it from a different point of view. When the Strange Case of Dr. Jekyll and Mr. Hyde was published in 1886 it caused a sensation. Its story of a decent London doctor who, by the use of a powerful drug, is able to turn himself into another and totally different person, caught the imagination of the reading public. 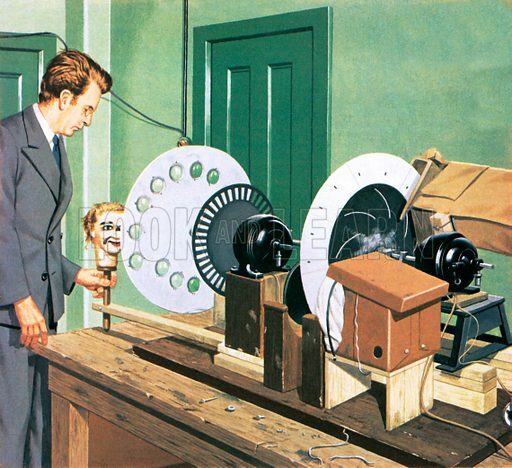 As Jekyll continues with his experiment, the tension rises to an almost unbearable pitch. After a while the evil Hyde is able to appear whenever he wants to, and Jeykll has to decide whether or not to destroy his depraved other self. The finale of the book mounts to a crescendo of terrifying action which has seldom been equalled in a story of this nature.